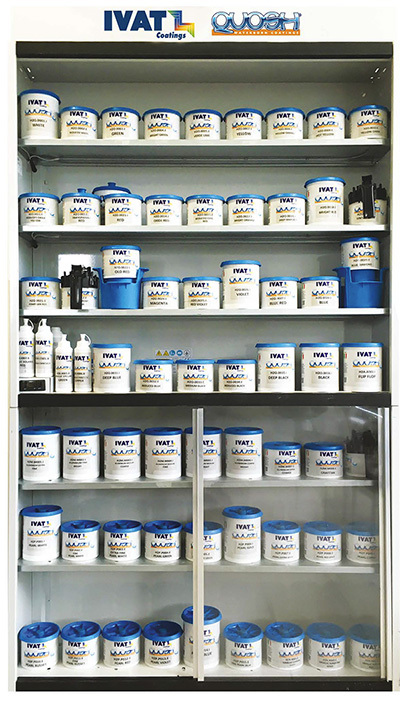 The waterborne system is made up of APEO-free acrylic resins suitable for automotive and car refinishing. 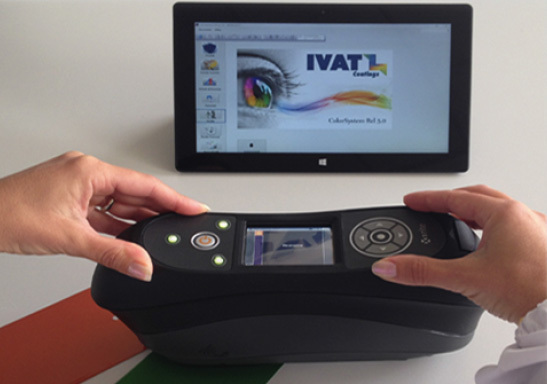 It is a technically advanced system, totally Italian, which is aimed specifically at the automotive repair market. Thanks to its low organic solvent content, this ‘green’ system remains well below the VOC limits set out by the Directive 2004/42/EC. Fast to dry and easy to apply, the Quosh system is the ideal solution for many body shops, in fact a considerable number of Italian and European customers have already chosen it for its unique features. It consists of 69 tinters: 35 solid, 7 aluminum, 1 graphite, 17 pearl, 7 xirallic, 2 colour stream. Quosh line also includes some auxiliaries that meet all customer needs. 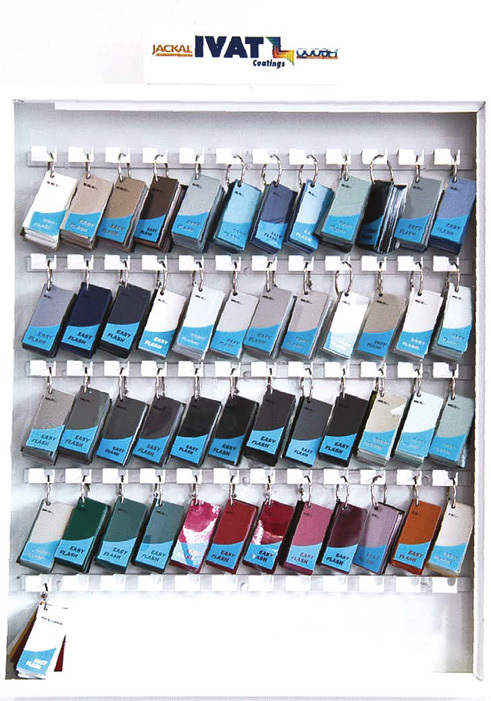 Quosh tinters are ready-to-use and only need to be diluted. With this system it is possible to formulate over 50.000 colours including solid, metallic and pearl, of the cars produced over the last 15 years. Formulations are divided per Car Brand and can be easily found on the Color System Software with also the possibility to customize it according to any specific customer need. 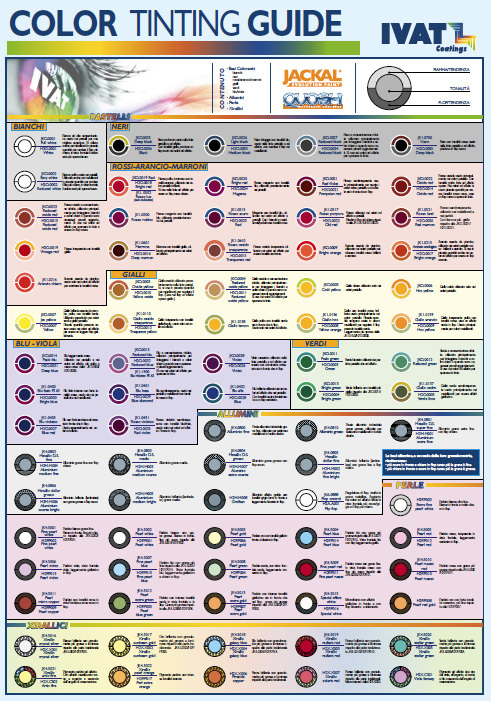 Through this software, you can also print formulas, labels, safety and technical data sheets. It is also possible to interface the software with any Gibertini, Mettler and Sartorius scales. Spettrofotometro Multiangolo portatile X-RITE COLOR FOX 5.0, specifico per il mondo della carrozzeria. Un sistema di ricerca del colore completamente automatizzato. Tra i suoi vantaggi: Grande color display LCD Veloce tempo di misura (< 2 seconds) Design ergonomico Portatile e leggero Connessione USB La fornitura comprende un carica batteria esterno e un battery pack Lo strumento è già interfacciato con la release 4 del software "ColorSystem"